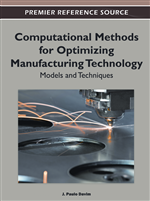 This contribution aims to provide a comprehensive overview of some research developments in the field of computational mechanics and numerical simulations applied to metal forming processes. More specifically, this chapter’s goal is to encompass three main fields of research applied to plastic forming processes: (i) the development of alternative finite element formulations for the simulation of sheet metal forming processes; (ii) the development and discussion of distinct optimization procedures and formulations suitable for the characterization of constitutive parameters to be used in numerical simulations, relying on experimental result data; (iii) the study of non-conventional forming processes, particularly the case of single-point incremental forming operations. For each of these topics, a summary of the formulations and main ideas is provided, as well as a list of references for the interested reader. The main goal of this chapter is, therefore, to provide a comprehensive source of information for researchers from both academia and industrial worlds, about some recent achievements and future trends in the numerical simulation field. This work deals with numerical simulation procedures based on the Finite Element Method (FEM) and its application to the plastic forming of complex metallic parts, both by conventional and less traditional manufacturing techniques. The first part of the work focus on the development of new formulations for finite elements, suitable for application in sheet metal forming, and their respective implementation details. Compared to conventional displacement-based methodologies, alternative formulations, based on the Enhanced Assumed Strain (EAS) method, are presented and a new class of formulations suitable for the modelling of thin and very thin structures (metallic blanks) is described. Aiming at the most general approach, as well as for a more realistic description of double-sided contact conditions, frequently encountered in sheet metal forming operations, “solid-shell” formulations will be presented in detail, with its advantages and drawbacks described when compared to classical solid and shell finite element formulations. These element types resemble solid formulations, from the topology point-of-view (for instance, eight-node tri-linear brick elements), but the kinematics is based on shell formulations, taking advantages of both formulations and also benefiting from the improved performance of EAS approach, in order to avoid volumetric and thickness (transverse shear) locking effects in complex loading/boundary conditions. The suitability of the “solid-shell” formulations is even more noticeable when based on an innovative approach for the numerical integration within each finite element, that is based on a reduced in-plane integration but with a variable (user-defined) number of integration points along the thickness direction. Doing so, it is possible to model and properly simulate metal forming operations with just one solid element layer along thickness using full 3D constitutive equations, with direct impact in lowering the computational cost of the simulations. The presented formulations are applied to typical forming operations, including anisotropic effects, of both thin and thick blanks, and also to non-conventional processes, such as the hydroforming of tubular metallic parts and single-point incremental forming of metallic blanks. Special attention is given to the ability of these enhanced formulations in predicting structural and geometrical defects during forming, such as wrinkles, thinning and springback. The second part of this work is devoted to the development of optimization procedures to material characterization. In this sense, a set of distinct strategies will be presented in order to, starting from the knowledge of the information coming from distinct experimental mechanical essays, be able to infer and define about the optimal constitutive and hardening parameters to be used in a numerical simulation analysis. This subject is of utmost importance in the FEM, since a reliable numerical solution must derive from a suitable model and constitutive relations based on experimentally validated parameters. Within this framework, conventional optimization strategies are analyzed, and their applicability for the constitutive parameters’ determination is inferred for a number of distinct constitutive models.